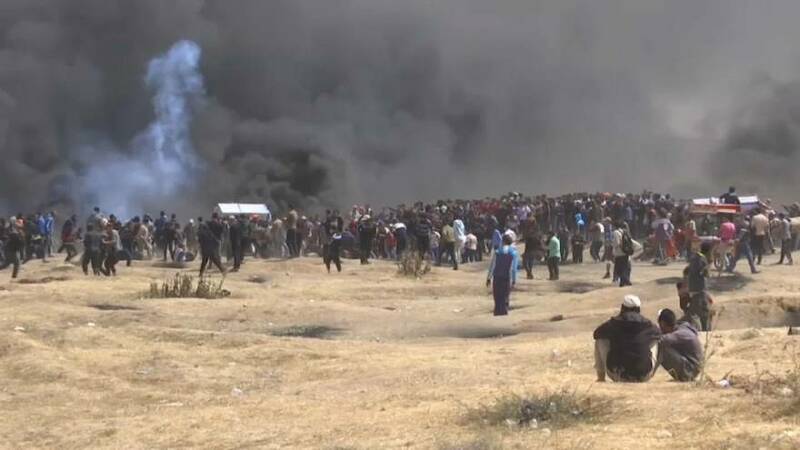 Hundreds of Palestinians have been wounded after thousands staged a mass protest along Gaza’s sealed border with Israel on Friday. Some burnt large Israeli flags and torched tyres, whilst soldiers fired tear gas and live bullets from across the border fence. In total, 528 Palestinians were wounded, with 122 protestors by live Israeli army fire. The ministry says 406 demonstrators suffered other types of injuries, including being hit by rubber-coated steel pellets and being overcome by tear gas. Friday’s protest was the third large-scale demonstration in as many consecutive Fridays.